The indoor location area continues to explode. 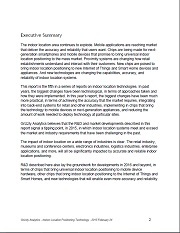 Mobile applications are reaching market that deliver the accuracy and reliability that users want. Chips are being made for next-generation smartphones and mobile devices that promise to bring universal indoor location positioning to the mass market. Proximity systems are changing how retail establishments understand and interact with their customers. New chips are poised to bring indoor location positioning to new Internet of Things and Smart Home devices and appliances. 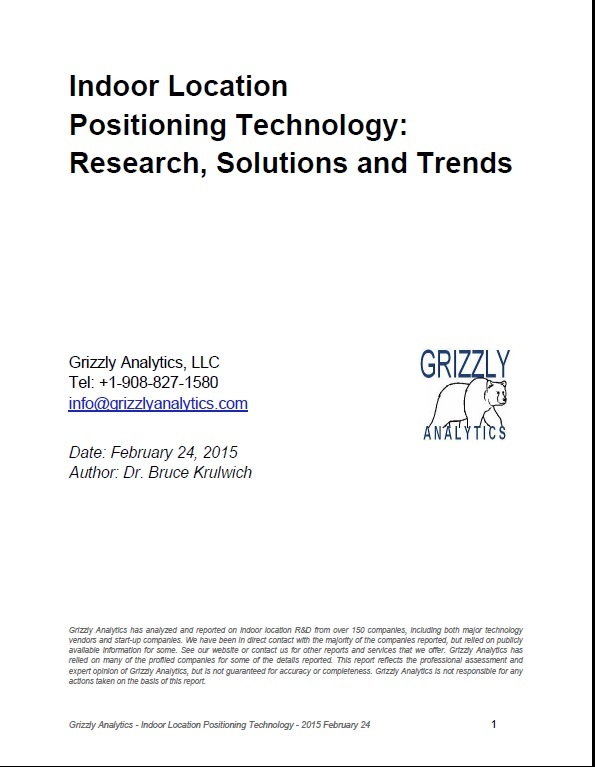 And new technologies are changing the capabilities, accuracy, and reliability of indoor location systems. 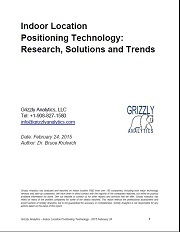 This report is the fifth in a series of reports on indoor location technologies. In past years, the biggest changes have been technological, in terms of approaches taken and how they were implemented. 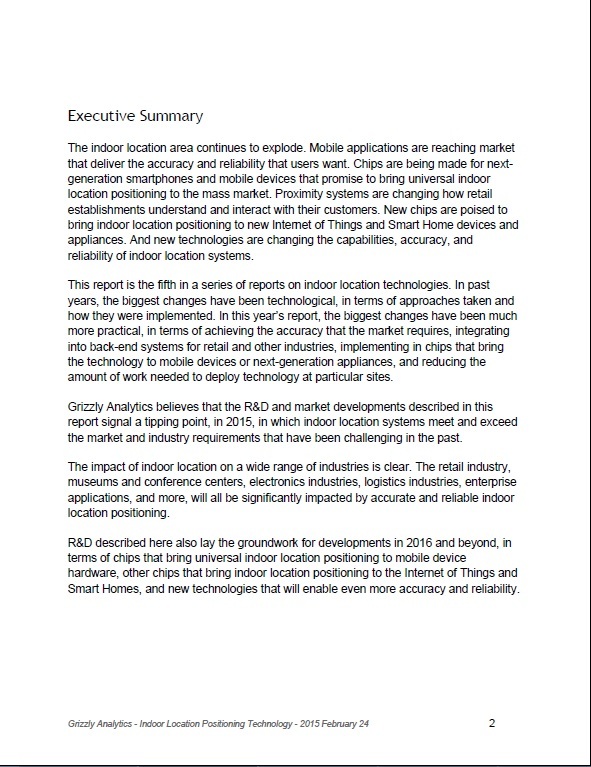 In this year's report, the biggest changes have been much more practical, in terms of achieving the accuracy that the market requires, integrating into back-end systems for retail and other industries, implementing in chips that bring the technology to mobile devices or next-generation appliances, and reducing the amount of work needed to deploy technology at particular sites. 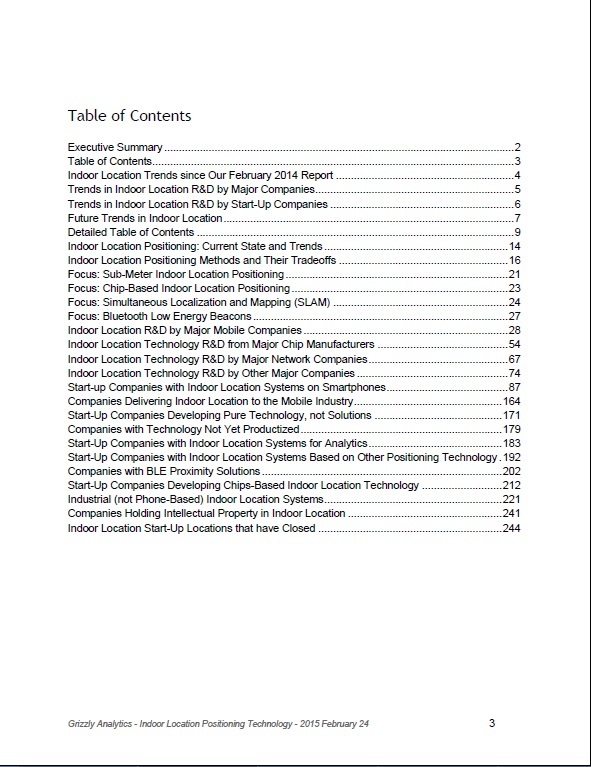 This report details research and development from over 150 companies in the indoor location area. Copyright 2016 Grizzly Analytics Ltd.